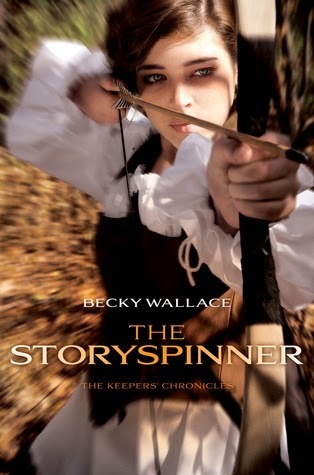 Google+ Reading Teen: Giveaway of THE STORYSPINNER!! Thank you so much for answer my questions Bree! Ive never read your bio until now either, so that was fascinating. Good luck as you continue forward as a writer and mom! This sounds great! I'm glad to hear the romance is a slower one. Thanks! This book sounds absolutely fantastic! I am so very much looking forward to it. And seeing the gorgeous cover in person. I love that the characters are fierce, and the slow-burn romance. All in all, it just sounds like my kind of story. Thank you for your review! I'm dying to get my hands on this one! Sounds amazing and judging by all the reviews I read, looks like the perfect high fantasy read. You've made me want to read it too let alone recommend it to my teenager. Excitement and romance that keeps you reading is exactly what i love. I love YA fiction. Johanna sounds like an amazing character. I hope you get a chance to read it!! Yes!!! I think you'll both like it! Let me know!! It's so good!! Let me know what you think! Slow burn romance is my favorite!! Yes, that's my favorite kind. Ditto! I can't get enough! It's fantastic so yes definitely check it out!! Thanks Carina!! Let me know what you think when you get to it! YAAAAS!!! I think your son might like it too!! Oh good!! Hope you love it! You're welcome!! It is so good! Me too!! Let me know if you have any recs for me! Ahhhh you're so lucky. >.< Envious person here.